A voyage through the magical land of Rajasthan on board Palace on Wheels, the most revered luxury train in India is like traveling back in time; a time when this legendary land was ruled by Rajput warrior princes or the maharajas. 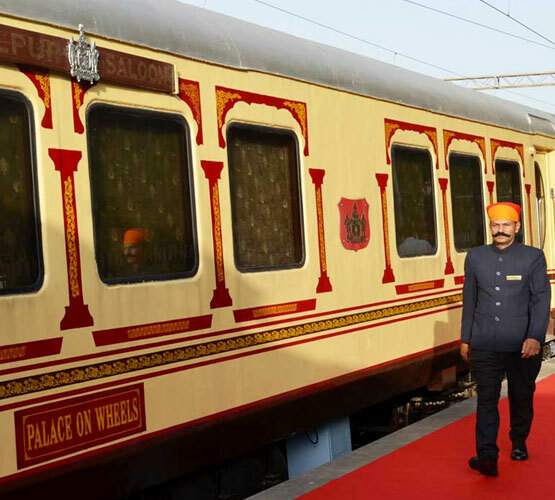 Right from the royal welcome upon arrival for Palace on Wheels journey to traveling aboard the tastefully appointed cabins that replicate the personal rail carriages of former maharajas and viceroys, it is a journey draped in elegance, romance and adventure. If exclusive travel to forts, palaces, game reserve and bazaars which were once upon a time the personal domain of maharajas is not enough to add the touch of majestic, the insider experiences, delicious cuisines and impeccable hospitality will ensure that you experience one of the most extraordinary rail journeys in the world. Book a Palace on Wheels journey and experience the royal hues of Rajasthan as never before in one of the best luxury train travel experiences in India.